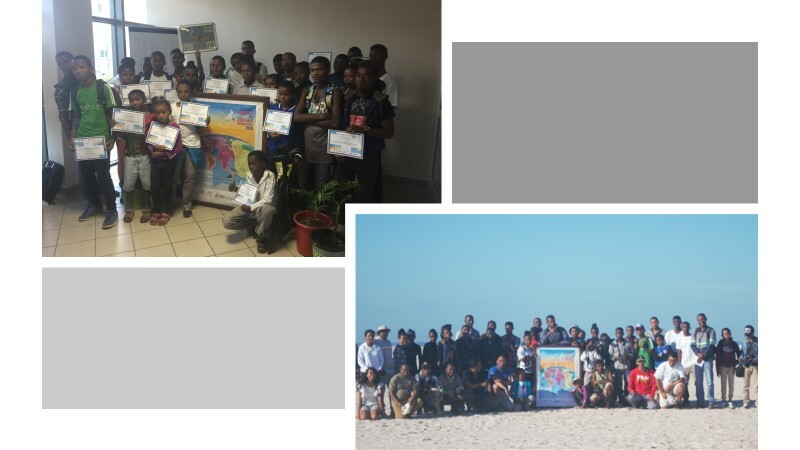 As in 2017, this year the "Tropical Biodiversity and Social Enterprise" (TBSE) decided to celebrate the World Migratory Bird Day here in Fort Dauphin, Madagascar. The event centered around three main activities : Movie watching ; Educational Activity ; Birdwatching, and will be celebrated on the 9th of May, and the 12th of May. The first session of the 9th of May includes film screening and educational activity. We hope to host around 40 students from schools arond the town. During this first session, which is an indoor celebration, we'll start by explaining the main purpose of celebrating this event. We will inform the school children on why it is important to protect these migratory birds as it may be a world concern if something bad would happen to them. Also, we'll show them the flyways in order to make them understand the importance of unifying the world's voices. The 2018 theme is clear, and the message will be shared to the attendees and we hope that they will share it to their friends, family, ...and so on. On the day of the 12th of May, we will start a bird watching activity next to the beach of Ambinanibe at 6 am. 26 students will be invited to participate in the event. We'll show them some species of the migratory birds, teach them how to observe birds, how to identify them. After that, we will continue again with an indoor session to summarize what has been done followed by a quizz. One talented member of the team will sing a song to end the celebration and a group photo will be taken.